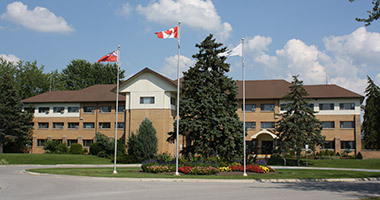 We provide a range of services to residents and visitors in the Town of Georgina. 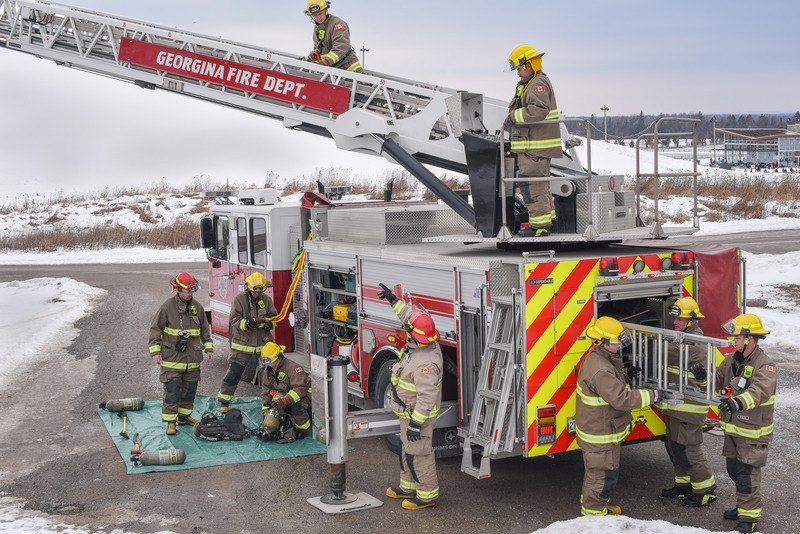 These include fire suppression, medical aid response, motor vehicle accident response, hazardous material response, ice/water rescue response, and fire prevention/public education. We also provide public education, enforcement of the Ontario Fire Code and investigate causes of fires. Our services and mandate are outlined in our Establishing and Regulating By-Law. Our department runs as a composite department with 3 fire stations that provide 24-7 protection to our residents. Have you had your heating equipment serviced? 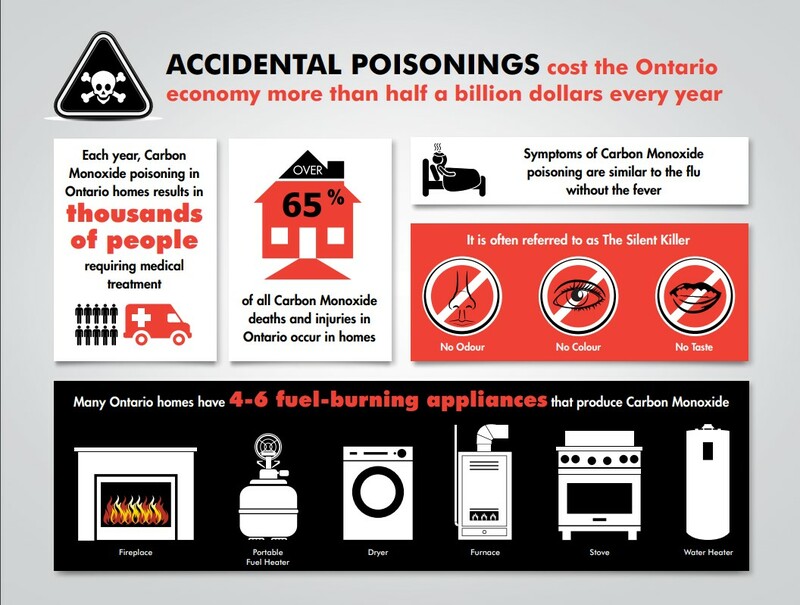 During the winter months there is a higher risk of home fires caused by heating equipment. Have your equipment serviced by a certified technician and keep combustible items at least 3 feet from heating equipment. 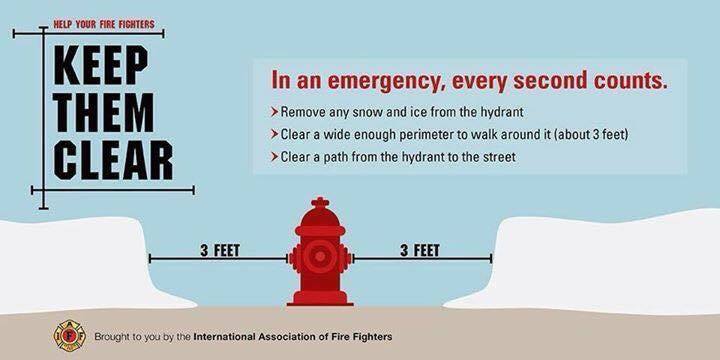 Clear the snow away from the fire hydrant by your property! Help us help you! In a fire every second counts if the hydrants are covered in snow it will take firefighters longer to get water to extinguish a fire. It could save your life! 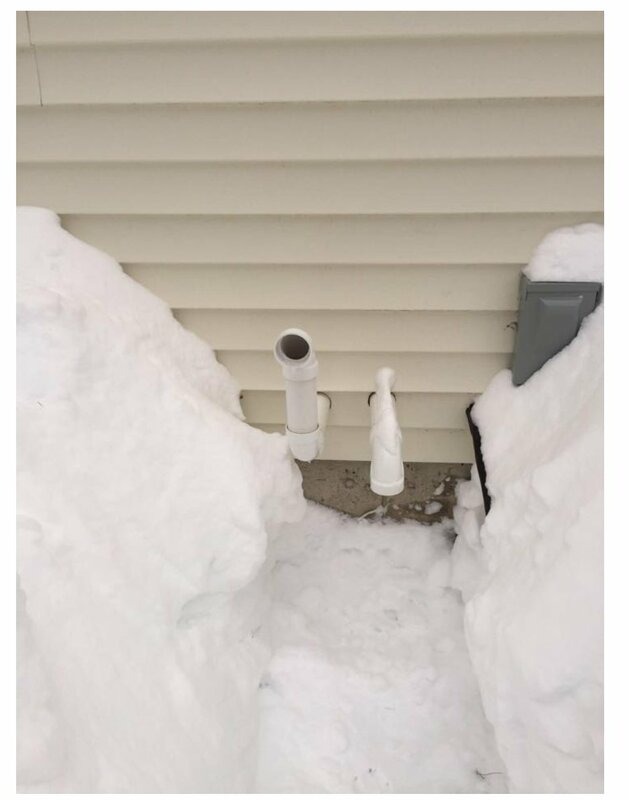 Snow covered exhaust vents on your house can allow the appliance exhaust to fill your home putting you at a high risk of carbon monoxide poisoning. 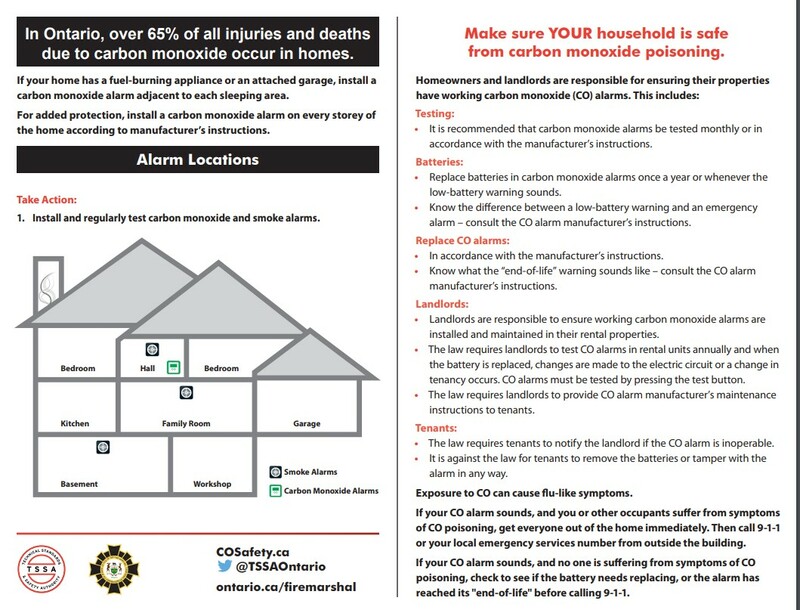 As protection, clear snow and ice away from your vents and install working CO alarms outside your bedrooms. Georgina residents are reminded that no ice is safe ice. Use caution when heading out on the ice. Know the conditions of the ice before you go out and take into consideration the recent changes the weather may have had on the ice. Be sure to tell someone your plans, where you will be, with whom and what time you are expected back at shore and always wear appropriate clothing and ensure you wear a certified floatation device. 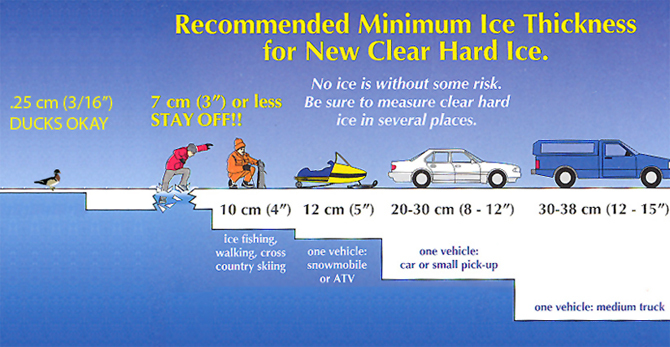 For more ice safety tips, check out: https://www.yrp.ca/en/crime-prevention/ice-safety.asp. With fall clean-up, make sure to have you have your Open Air Burn Permit! 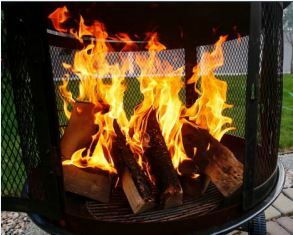 Whether you are having a recreational campfire or open-air burn on your property, make sure to read our Open Air Burning By-law. Annual burn permits are available. For a list of locations, and general guidelines, have a look at our Quick Reference Guide.